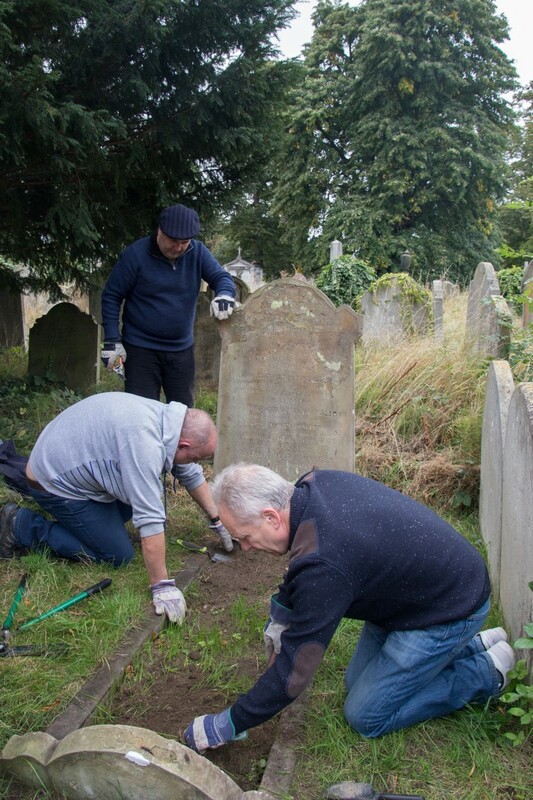 The Chelsea Supporters’ Trust Clean-Up group are planning another day at Brompton Cemetery on Saturday November 11th for a tidy up of the sites we have worked on previously and to plant some bulbs on or very close to the graves. 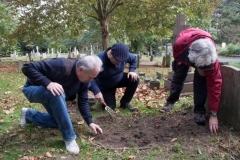 We recently visited the cemetery for a recce and flowering bulbs have been purchased ready to plant. We’ll provide tools and gloves once again with some forks and shovels too. 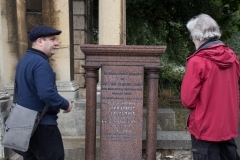 The meeting place will again be at the Fulham Road entrance of Brompton Cemetery at 11.00 am Saturday November 11th. It will also provide an opportunity for those of you who have not yet had the chance to look at the Jack Whitley Memorial stone, laid recently. We hope to see some of you then. The Chelsea Supporters’ Trust would like to say thank you for the incredible generosity that not only Chelsea supporters, but supporters from many other clubs have shown in helping us reach our initial target so quickly. 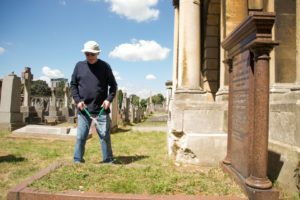 The crowdfunding site will remain open until July 4th and we welcome donations going forward which in addition to funding the memorial to Jack Whitley will help to support the CST Brompton Cemetery Clean Up Group. We are delighted to announce that Rick Glanvill has managed to track down Jack Whitley’s Granddaughter, Sylvia and her son Andrew (Jack’s Great Grandson). She is absolutely delighted the Chelsea connection has been made and they have some very nice photos of Jack in his Chelsea days which we hope to share with you at some stage. We are hopeful that both Sylvia and Andrew will be attending the stone setting on the anniversary of Jack’s debut this September. Which brings us to the next phase once the crowdfunding campaign closes in July. 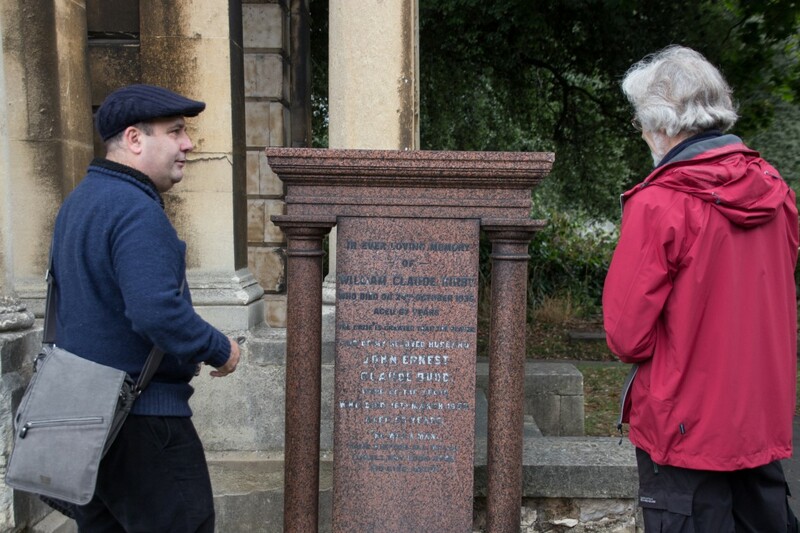 Your donations will help us to pay the fees relating to the plot at Brompton, at which point we will finalise the stone, the inscription and memorial mason to be used. Once the fixtures are out in June we can look at setting a date as close to the anniversary of Jack Whitley’s debut (23rd September) as possible. Go to our Just Giving page to donate. Read below to find out more about the background to the project or a short piece endorsing the project on the official Chelsea FC web site. 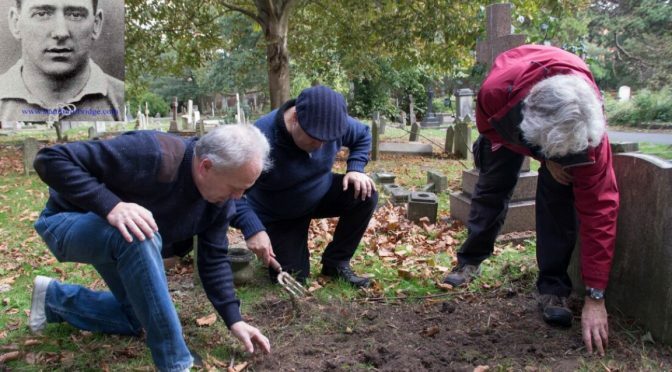 In summer 2015 a chance rereading of the Albert Sewell book ‘Chelsea Champions!’ led official Chelsea historian Rick Glanvill to discover that Whitley had specifically requested to be buried at Brompton Cemetery and, with the help of the Friends of Brompton Cemetery, Jack’s grave was ‘unearthed’. Sadly, at the moment it is a common grave with no stone to acknowledge Jack’s presence and his long association with the club just across the railway line. 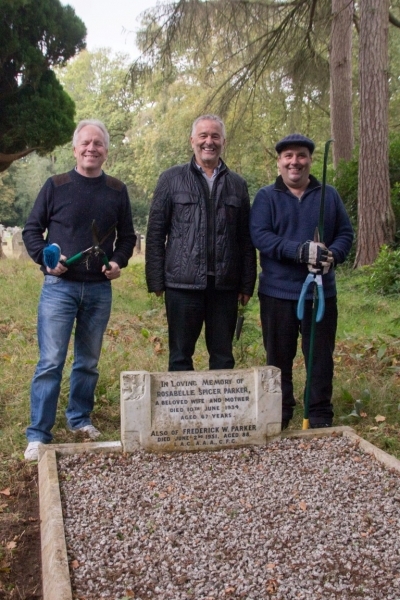 As he is the only occupant of the grave, we aim to obtain the relevant permissions and place a ledger (or flat slab) with a suitable inscription on, repaying the commitment Jack showed to Stamford Bridge and Chelsea Football Club. 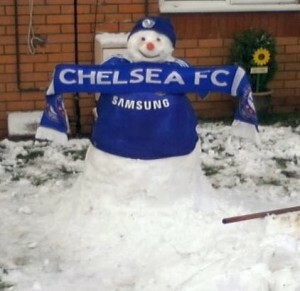 To do this we need to raise around £5,500, and that is where the great Chelsea family comes in. 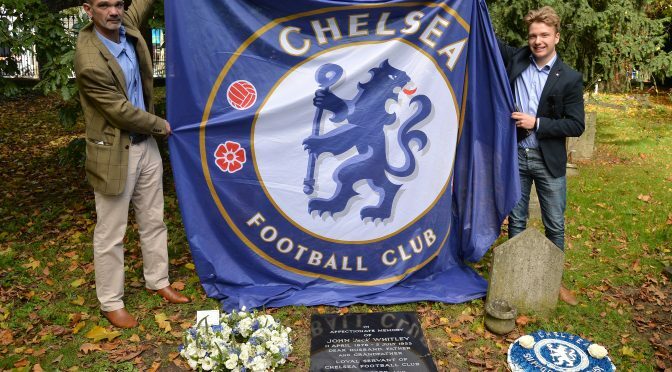 The aim of this crowdfunding project is to raise enough money to erect a memorial marking the final resting place of one of Chelsea Football Club’s most loyal servants, Jack Whitley. 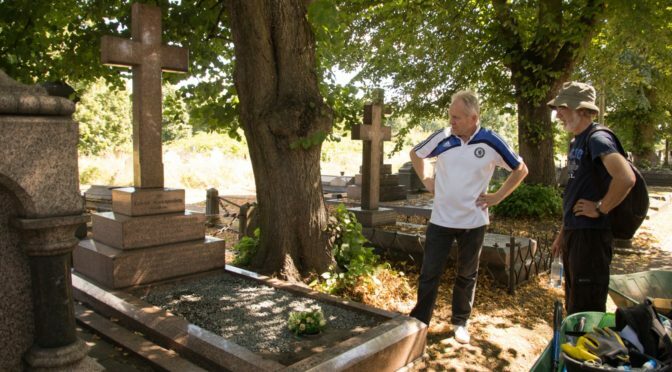 He is the only Chelsea footballer we know to have been buried in the cemetery next door to Stamford Bridge. 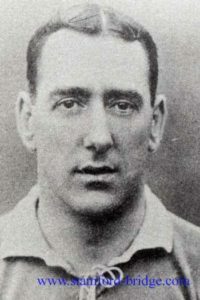 Jack served the club loyally and with distinction from the age of 29 to 61, as first-choice goalkeeper (1907-1914), then as first team trainer (1914-1939). 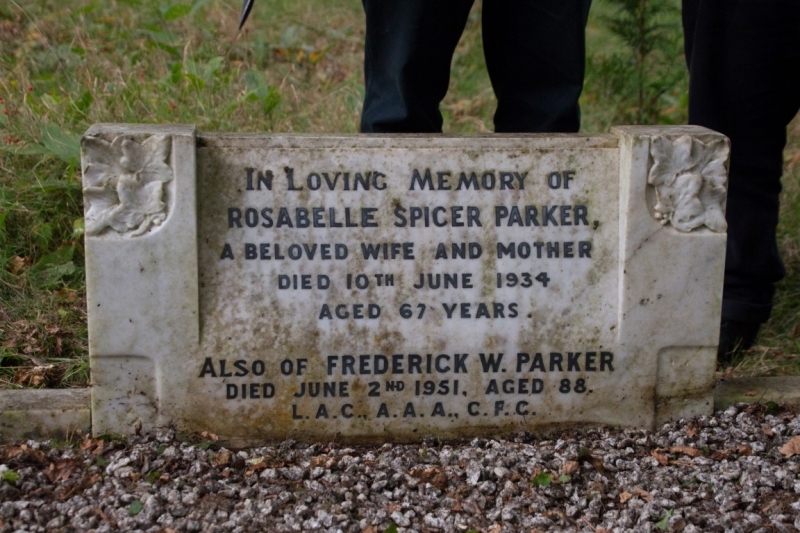 He had died at Tring in Hertfordshire on 5 July 1955, a few months after the club won the league title for the first time in 1955, aged 77. As well as chipping in what you can afford yourself, please help make every Chelsea supporter you know aware of the crowdfunding exercise. Go to our Just Giving page here to donate. Where is Jack’s grave located, and what is there to see at the moment? 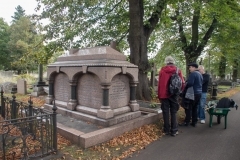 Jack’s grave is just off the main path, east of the new Brompton Cemetery visitor centre, close to the north wall. 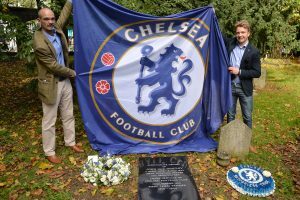 We believe it could become a place of pilgrimage for match-going fans and the perfect place for supporters to begin the tour of the many Chelsea FC-related graves in this beautiful and historic cemetery. 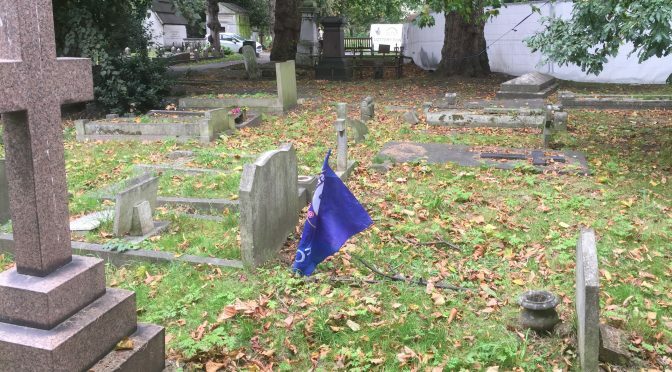 The grave is currently marked by nothing except grass, carefully tended by the Chelsea Supporters’ Trust Cemetery Clean-Up Group. Are you actually entitled to erect a headstone on his grave? 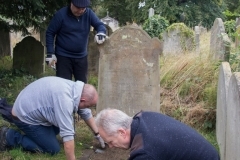 The grave is a common one – not privately owned and paid for. 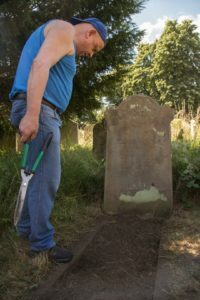 Luckily Jack is the only occupant of this particular plot, so with the correct permissions obtained and an appropriate memorial selected we can go ahead and set a stone on Jack’s grave. 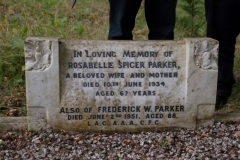 Why did the family not erect a headstone? Footballers were nothing like as well paid in 1955 as they are now. 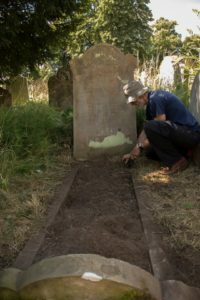 It is unknown whether Jack’s widow Winifred was unable to afford the expense of a private burial plot and a marker for the burial, or Jack preferred a simple interment in a common grave. Nellie (1902-1983), Ruby (1915-2002) and another child who died young. Nellie married twice (first to tennis star Donald Butcher, then Chelsea footballer Albert Thain) but does not appear to have had children. Ruby also married twice, to Sidney Upton, then Leslie Keeble, and likewise appears not to have had children. Perhaps someone reading this knew the Whitley family, or their descendants, and can shed more light? If so, we would love to hear from you: rick.glanvill@chelseafc.com. 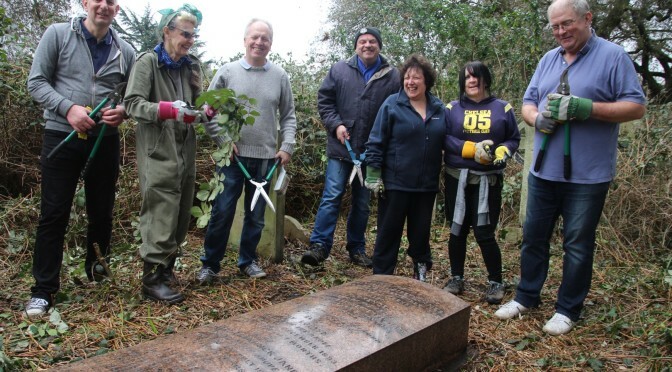 How would marking Jack’s grave benefit supporters? 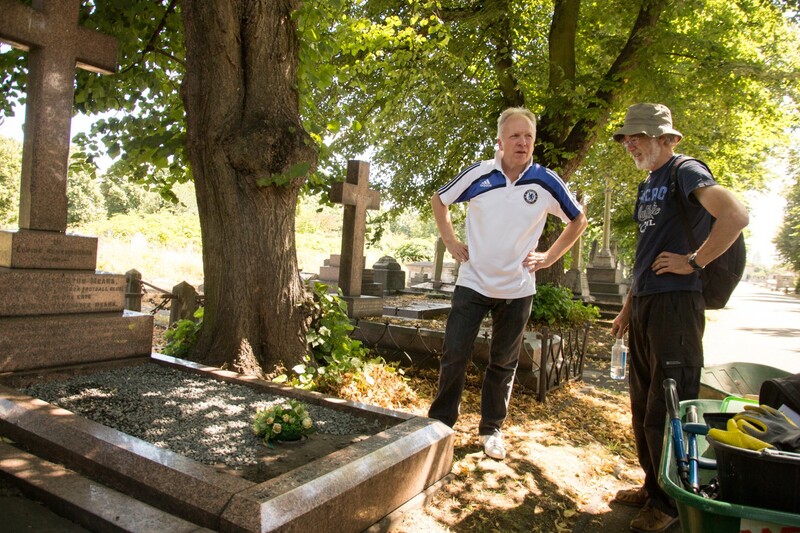 Happily, marking Jack’s grave will add a significant, easily accessible new reference point to the self-guided Chelsea FC Brompton Cemetery tour, which already includes many founding directors as well as former manager Bobby Campbell. 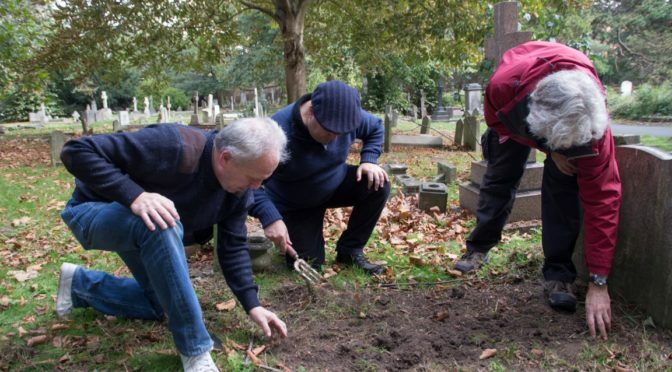 Chelsea and Royal Parks co-produced a booklet ‘Final Whistle: The Chelsea Football Club Trail at Brompton Cemetery’ (http://www.chelseafc.com/the-club/history/style/brompton-cemetery-trail.html) in 2009, which will need updating. Why does Jack deserve a memorial? 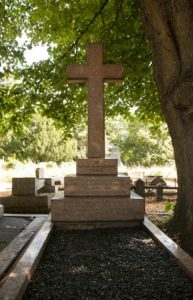 Primarily because Jack Whitley is unique – the ONLY Chelsea footballer we know of buried at Brompton Cemetery. He also played a major role throughout the club’s early years. Firstly, he played 138 times for the Pensioners between his debut on 23 September 1907 and his last match on 4 April 1914, keeping 39 clean sheets, including our first ever in the top flight, on his debut. He was the first goalkeeper to establish himself for longer than one season, and helped Chelsea win promotion to the First Division in 1912. 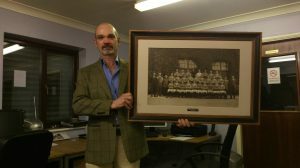 When his time between the posts came to an end in 1914 he became our first team trainer. Apart from responsibility for the players’ training regime and fitness, he attended to their injuries on match days. Generations of supporters fondly recalled the sight of Jack galloping onto the pitch to attend the fallen with a wet sponge, the tails of his tweed jacket flapping as he ran. As a well-respected figure throughout the game he also played a part in negotiating some of the great transfers signings of the day, and was part sergeant-major, part father figure to the squad. 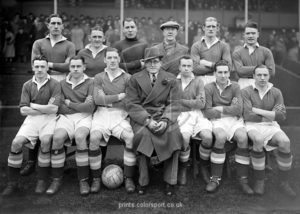 He served Chelsea for 32 years, from 1907 to May 1939, when incoming manager Billy Birrell let all the coaching staff go. 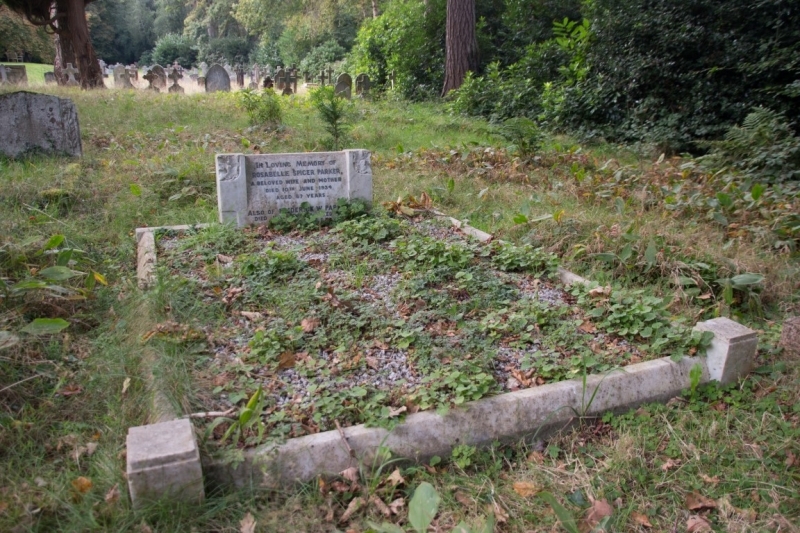 It is a rare and wonderful sign of his undimmed affection for the club that when he died in Hertfordshire, just a few months after the Pensioners’ longed-for first league championship win in 1955, he left specific instructions to his wife Winifred that he should be buried next to his beloved Stamford Bridge. 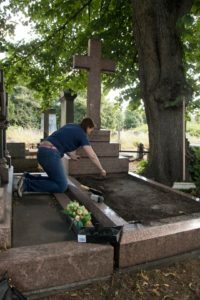 We believe an unmarked grave does not do justice to a man who had Chelsea in his heart for so many decades. What kind of grave marker are you proposing? There are regulations and conventions that must be adhered to. 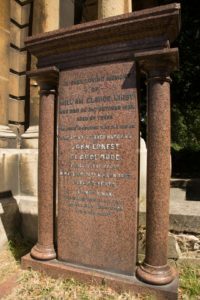 We have consulted various monumental masons who work closely with Brompton Cemetery and the most suitable memorial will be a subtle, ledger (flat slab) memorial. next to his beloved Stamford Bridge. Administration fee to place 5’ by 2’ ledger on plot (Royal Parks). 5’ by 2’ ledger, plus inscription and setting (local monumental mason). 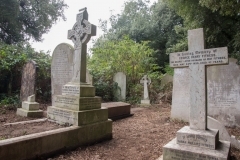 50-year lease on plot (Brompton Cemetery). The total comes to £5,500. 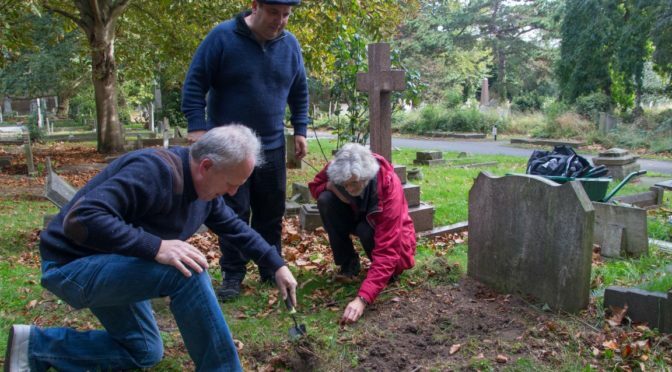 Any donations above this will be given go towards the Cemetery Clean-Up Group, who tend all the Chelsea FC-related graves at Brompton and many elsewhere, and a new edition of the ‘Final Whistle’ cemetery tour booklet. Why doesn’t Chelsea FC just pay for it? We have not asked them to. With support from the club, Chelsea Supporters’ Trust has led the way in keeping the Chelsea FC-related graves free of overgrowth and in good condition. We feel it would be nice to make this another fan-led project, and that this should be noted in the inscription. We know of no next of kin to Jack, so it falls to us, the great Chelsea family, to do right by him. Of course we welcome donations from anyone. 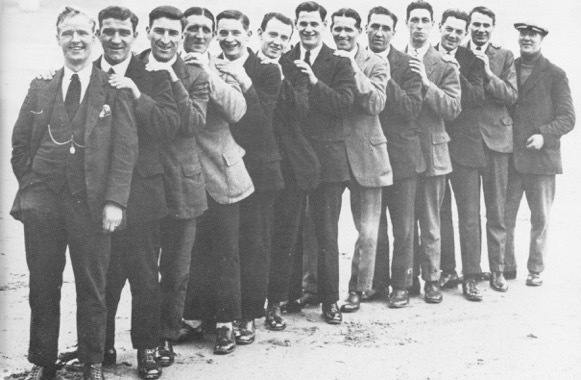 Back (left to right): George Mills, John O’Hare, Vic Woodley, Jack Whitley (trainer), George Barber, Jimmy Argue. Front: Dickie Spence, Eric Oakton, Allan Craig (Captain), Mr. Joe Mears (Director/Chairman), Harold Miller, Sam Weaver, Harry Burgess. – Aug 1907 • Signs for Chelsea from Leeds City aged 29, having played for the Pensioners’ secretary-manager David Calderhead at Lincoln City. 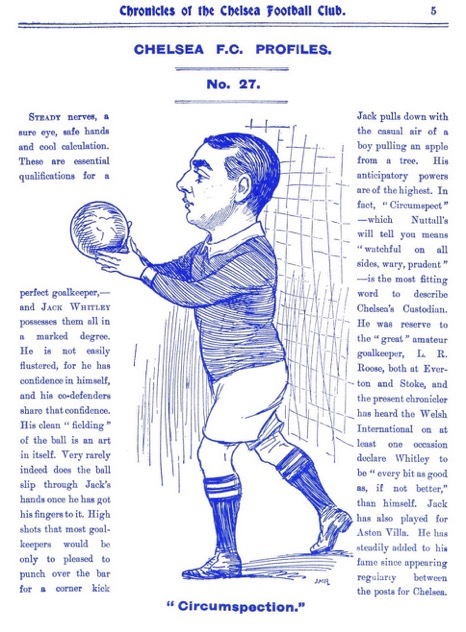 – 23 Sep 1907 • As goalkeeper, helps Chelsea to the club’s first ever top flight victory at home to Newcastle – and keeps a clean sheet on his debut. – 1907-1914 • First-choice goalie and almost ever-present for first three seasons until the arrival of Jim Molyneux in 1910. Makes a total of 138 appearances for the Pensioners: 39 of them without conceding a goal. – 1912 • Plays 26 of 38 games as the Londoners are promoted back to Division One. – 1914 • Joins backroom staff as first team trainer aged 36, attending to the injured, assisting in transfer negotiations, and becoming father figure to generations of Stamford Bridge players. – 1929 • Travels with rest of Chelsea team on the ground-breaking tour of Argentina, Brazil and Ururguay as trainer and emergency goalkeeper. 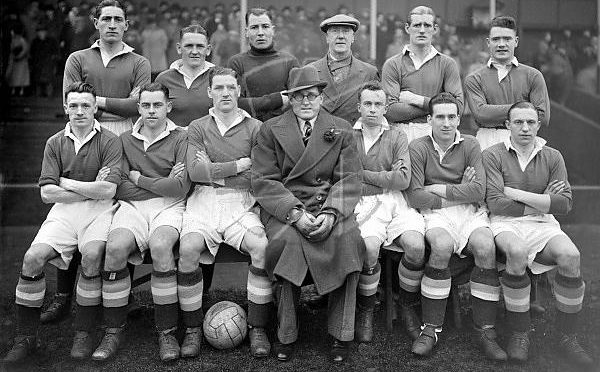 – May 1939 • New manager Billy Birrell dispenses with his services as trainer, ending 32-year association with Chelsea FC. – 5 Jul 1955 • Jack dies at Tring, Hertfordshire, aged 77, but has specifically requested to be interred next to his beloved Stamford Bridge. 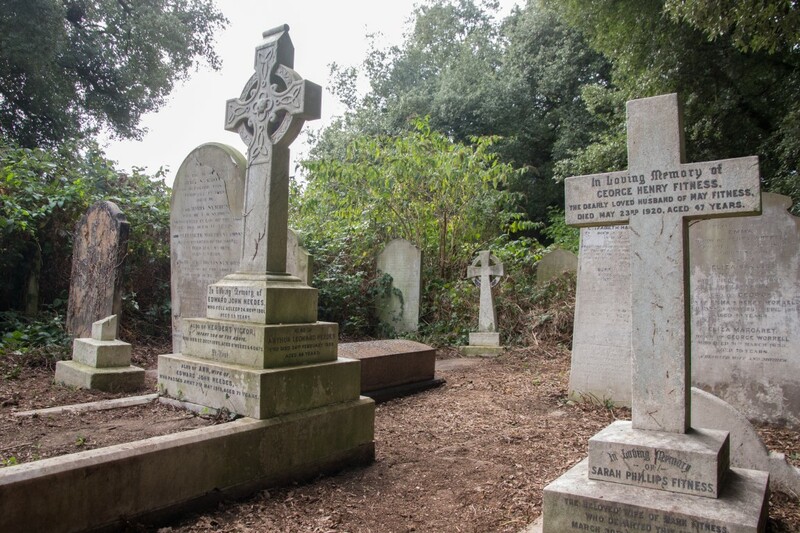 – 11 Jul 1955 • Buried at the north end of Brompton Cemetery in a common, unmarked grave. Our firmly established Brompton clean up group reconvened on 8 October 2016 during another international break. The intrepid gardeners gathered at the Fulham Road gates of Brompton Cemetery and did the rounds of the final resting places of Messrs Janes, Kirby, Maltby and Mears, tidying up around the plots and leaving them clear and accessible for visitors and fans of Chelsea FC interested in learning about our heritage. 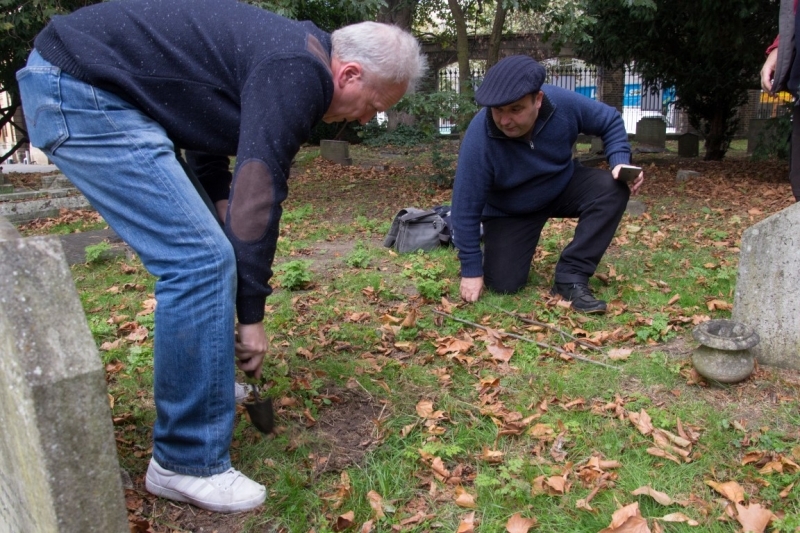 But before leaving Brompton Cemetery we headed to an area near to the main entrance where we found the unmarked common grave of former Chelsea player Jack Whitley, Here we worked on marking the plot for further work to be carried out at a future date. 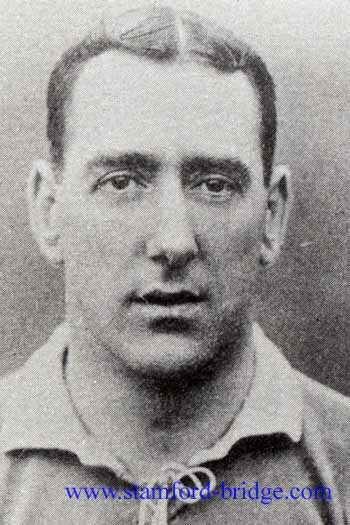 Jack was very loyal to the club, he first played as a goalkeeper in 1907 then worked as a trainer, dedicating over 30 years to Chelsea FC. Jack specifically requested to be buried near his beloved Stamford Bridge when he died in 1955. 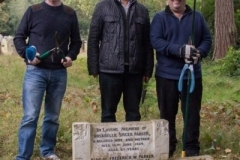 Satisfied our work was done at Brompton, three of us headed off to a small village church in Hampshire, invited to tend to the grave of Chelsea ‘godfather’ Frederick Parker, the man who came up with the initial idea to create Chelsea Football Club. A satisfactory days work, an ongoing project to keep our heritage alive so that fans present and future can learn about our club’s roots. 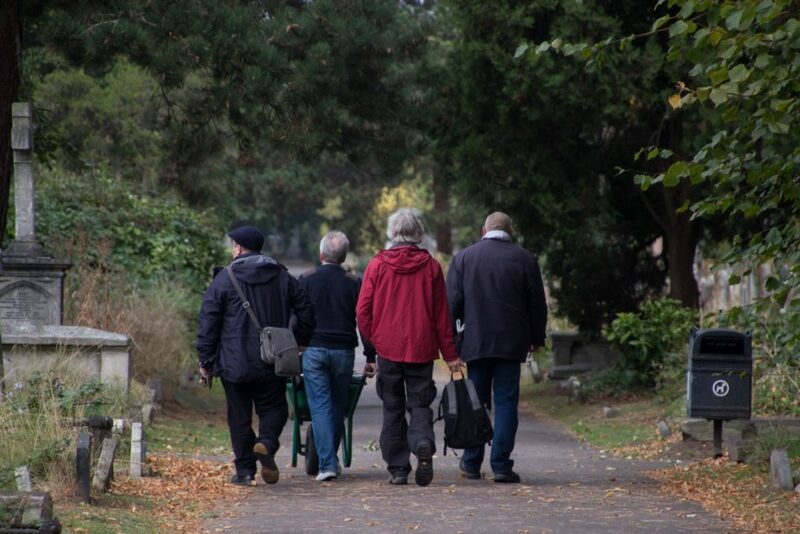 Our grateful thanks to gardening stalwarts Steve, Adrian and Debs, Cliff for his dedication to the project and Rick Glanvill for the research and the inspiration. The third outing of the CST-organised working party to tidy up Chelsea graves in Brompton Cemetery is at 11.00 on Saturday 6 August 2016. As before, we will meet at the Fulham Road gates. Both our previous sessions have been productive and enjoyable so if you are free, why not come along. Tools, gloves and a fine selection of biscuits and snacks are provided. You can see how we got on at our first visit in March 2016, in our blog piece here. 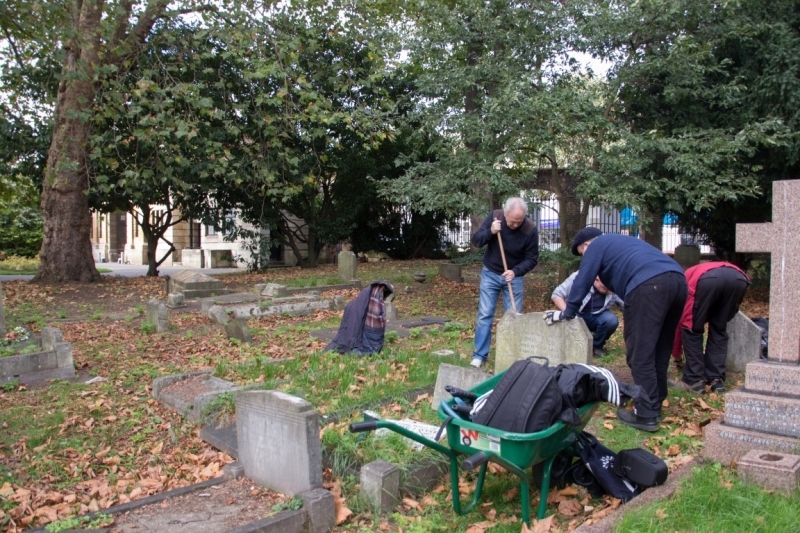 Our thanks, as always, to the Friends of Brompton Cemetery for providing support for our work and to Chelsea FC for providing the tools.